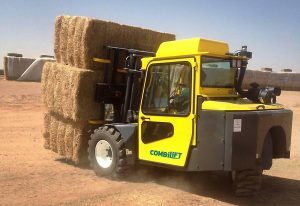 The Combi-RT was designed to meet the harsh demands and confined spaces of the poultry industry. 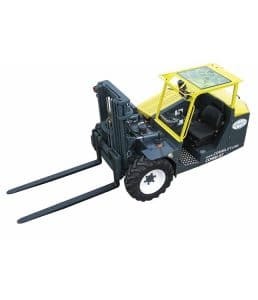 But its impressive handling and robust construction make it ideal for any rough-terrain applicati with capacities up to 9,000 lbs. Large diameter tires, three-wheel chassis and all-wheel traction mean this truck has a compact turning radius and tough grip on any surface. Ultra-smooth controls provide the quieter, more refined handling in any application . This lift truck can be built to meet UL safety rating requirements for use with explosives.